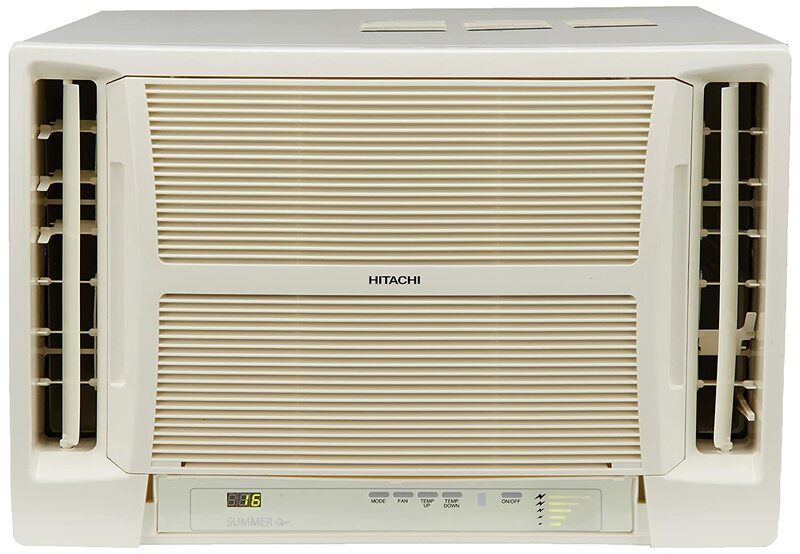 A very silent AC, this product from the house of Hitachi, is a tireless cooling machine that is known to use energy very efficiently. It is packed with contemporary state-of-art features that are easy to use and provide a lot of comfort. Auto climate technology: This intelligent feature recognizes the temperature and humidity of the city it is operating in, adjusts the temperature and fan speed at the touch of a button to suit the body needs, and gives the user a great cooling comfort. Auto power saver mode: This feature enables the air conditioner to automatically select the comfort temperature and maintain the same at around 25-degree Celsius with a suitable fan speed. The fan speed also gets automatically adjusted and in case the compressor is cut off, the fan speed automatically comes down to a lower level and moves up when it turns on. When the preset room temperature is achieved, the fan speed automatically regulates itself by coming down, and goes up when more cooling is required. Digilock: Switching to the Digilock feature helps preventing any misuse of the AC in the user’s absence. It also ensures that the AC’s comfort settings are not tampered with by accidental pressing of other keys. Pre-coated aluminium fins: The pre-coated aluminium fins increase the durability of the AC as ultimately it is the fins that corrode and reduce an AC unit’s life. This coating helps in preventing corrosion, thereby ensuring enhanced longevity. 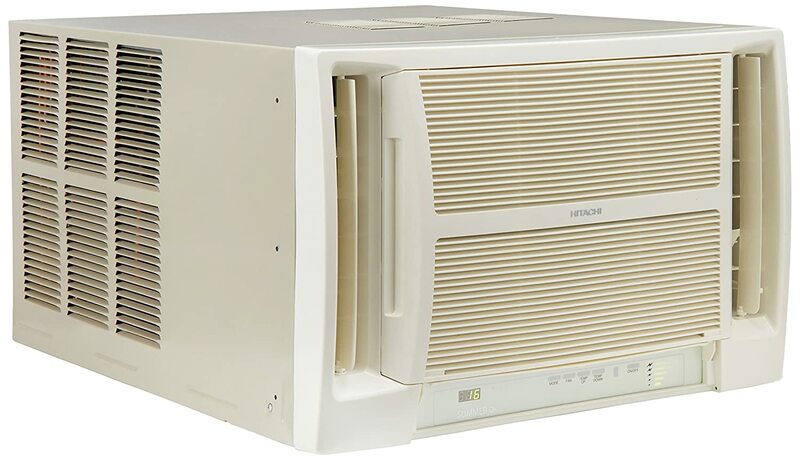 Energy saver, clean air distributor: As the cooling begins to dip lower than the comfort level, the AC has a device installed that automatically increases the temperature one notch higher. This ingenious method helps ensure that the temperature level inside the room is comfortable at all times. The Koukin filter in this AC has anti-bacterial properties, thus preventing the growth of harmful bacteria inside the machine. 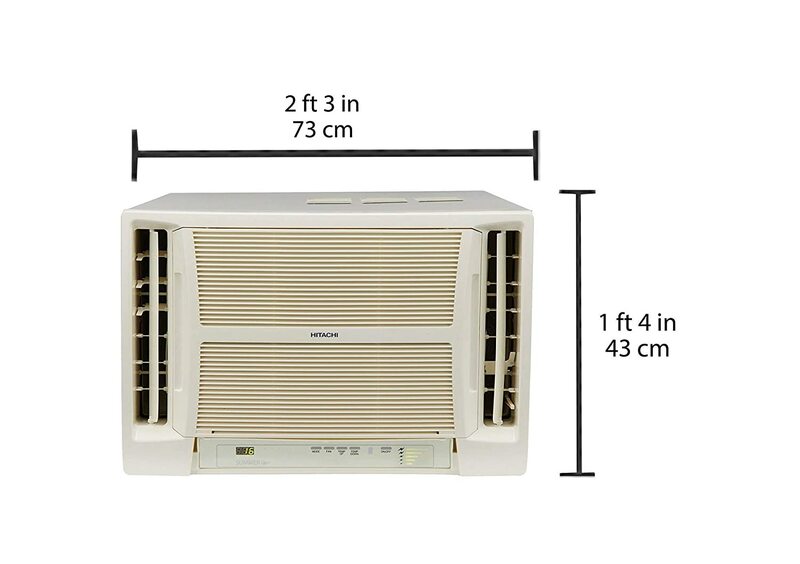 The AC unit, therefore, circulates cleaner air through the room. Lower De-rating: De-rating is the operation of a device which is at less than its rated maximum capability. This helps to prolong the appliance’s life. Lower de-rating means that the AC will perform about 10percent more on those sweltering hot days. Wireless LCD remocon: The LCD display is for extra clarity. The display shuts off automatically when not in use, ensuring a longer battery life.